You remember back in the spring of 2011 when Tim Lincecum’s steady diet of double-doubles from In-N-Out was all anyone could talk about? Well, The Freak has changed his ways and now eats a more healthy diet as he tries to recapture his former Cy Young form. Lincecum appeared to be closer to his old form as he held the Marlins to one hit through five innings. But in the end, those old In-N-Out burgers came back to bit Timmy on Friday night. Miami’s Marcell Ozuna delivered a game-tying infield single off Lincecum in the sixth and later drove home the go-ahead run with another hit in the eighth as the Marlins beat the Giants 6-3 on Friday. The win was inexplicably the Marlins’ ninth in a row at AT&T Park. Just as surprising was Ozuna’s pre-game meal. Before batting practice the Marlins rookie downed three In-N-Out cheeseburger and three cookies, although some Miami teammates told a different story. Ozuna, who delivered a clutch two-run pinch-hit single in Thursday’s win, also make a big defensive play when he threw out Andres Torres trying to stretch a double into a triple in the sixth inning. Ozuna spoiled another solid start from Lincecum, who sports a June ERA of 2.92. 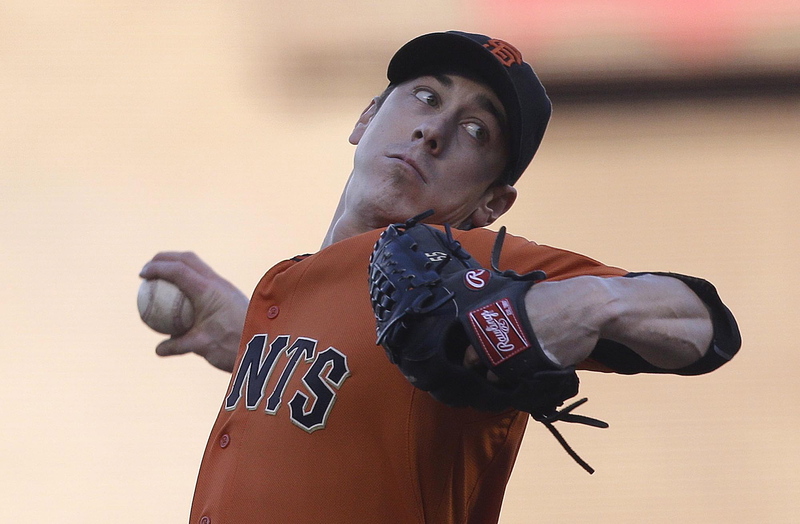 Lincecum also recorded his second career triple two batters after Torres was thrown out at third base.